Based in Mumbai, Maharashtra, we have built a wealth of experience in manufacturing, supplying and exporting the immense range of Engineering Couplings world-over. Our adroit professionals designs the couplings in compliance to the highest industry standards, to meet expectations of our buyers. Our offered models of Engineering Couplings can be altered, to fit variegated demands. 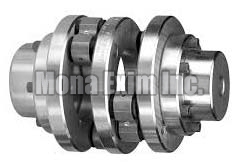 Buyers can acquire our durable Engineering Couplings, by paying a modest price.